Floating Solar Power in Lithuania is the next big thing as a grant has been given for a floating solar photovoltaic power plant to be built alongside the 900MW Kruonis hydroelectric plant. Floating Solar Power in Lithuania – this will be the first floating solar power plant in the Baltics and is an exciting step in the right direction for the small country. The Lithuanian Business Support Agency (LSBA) granted €235,000 (~$370k AUD) for construction of an experimental floating solar photovoltaic power plant at the 900-megawatt (MW) Kruonis hydroelectric plant in Lithuania. “The floating solar power plant at Kruonis is one of the ideas that could help Lithuania to become an international leader in renewable energy solutions,” said Darius Maikstenas, chairman and CEO of LEG. Renewable Energy in Lithuania represented 27.9% of the country’s overall electricity in 2016. With wind capacity of 178 MW installed in 2016 and average power usage of 1.1 GW, Lithuania was the EU member state with the highest level of new wind capacity installed in 2016 (relative to its power consumption). According to an article on DW.com, over 65% of the current existing floating solar in the EU is located within the UK, with the Netherlands in second place. 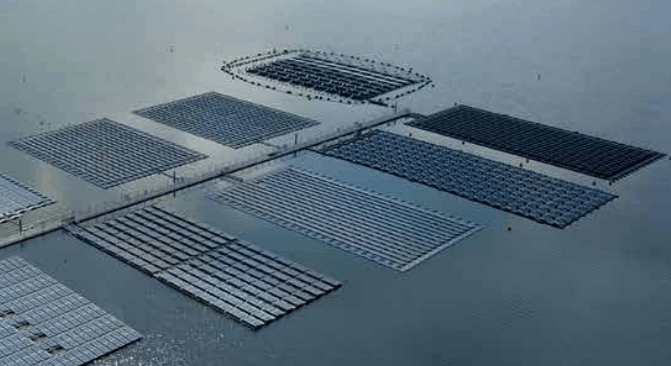 A world bank report entitled “Where Sun Meets Water” from November last year shows that our current floating solar capacity is 1.1GW – which could grow to up to 400GW if things go in the right direction. If you’re interested in the technology, we have written plenty more about floating solar power here!